Prism is designed for the professional light designer and is a powerful software application for creating innovative, ever-changing displays. 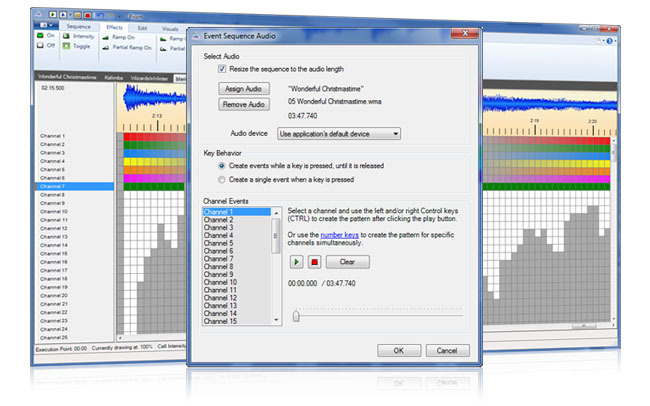 An integrated music player that will play background music in between sequences or programs. You can even specify a narrative to play occasionally to welcome users to your display, announce show times, or anything else. An audio visualizer to help you synchronize exactly with your music. User can test output before running the show. Facilitate troubleshooting. Preview plugin that allows you to draw a representation of your lighting display so you can test it without having lights or even a controller. 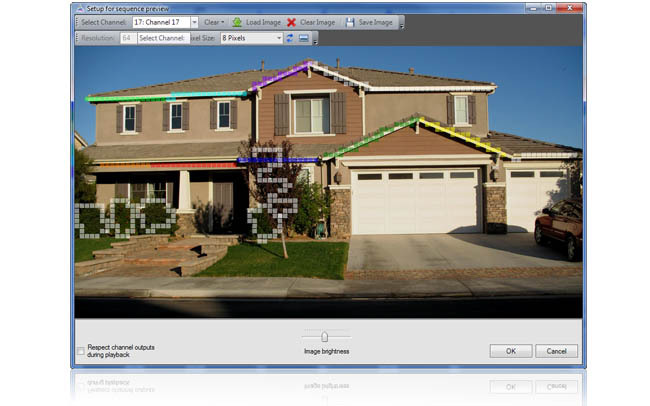 It will also allow you to import a picture of your house/scene to draw on. 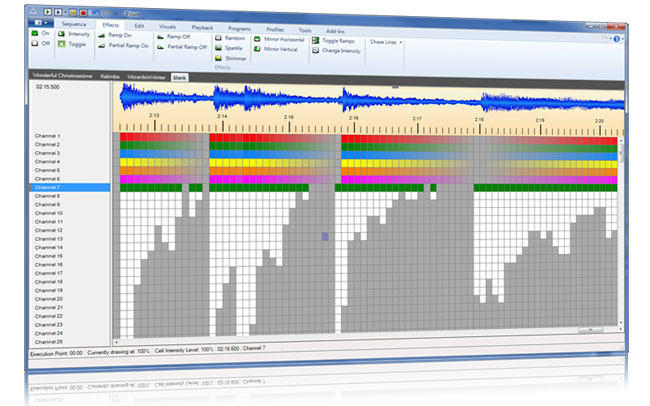 Revival Control Systems is designed for the professional light designer and is a powerful software application for creating innovative, ever-changing displays. 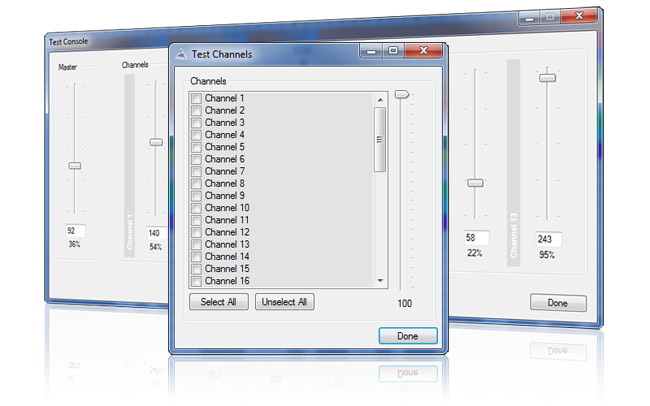 Choose either our grid-based graphical user interface (GUI) or our robust automated tools to build your show. Revival Control Systems Prism Software is the only tool that gives you all the power you need to control lights, music, sounds and special effects to turn your display into a dazzling work of art. Your visitors will experience unparalleled entertainment and leave with an everlasting impression! Prism software does not have any restriction on the number of controllers. Prism is free with any controller purchased. Revival Control Systems controllers are microprocessor based giving them intelligence. These light controllers are far superior to standard light controllers. They are capable of creating spectacular lighting effects. Each light controller has embedded intelligence that controls dimming, ramping, fading, patterns, and a number of other lighting effects. The light controllers are connected together in a network using standard Cat5 cable. One command can instruct a lighting controller to perform complex lighting effects on a specific channel.